Head lice are creepy, crawly critters that you want to keep as far away from your family as possible. 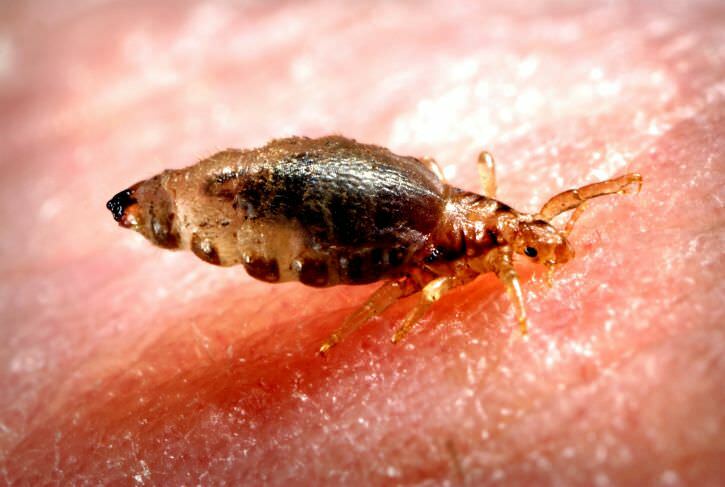 While not dangerous, these very small parasitic bugs can cause an allergic reaction in many as they bite your scalp in order to feed on the blood underneath. This can cause itching, redness and irritation, and scratching can make matters worse by causing open sores. Lice come in the three basic forms of nits, nymphs and the louse, which is the fully grown form. Even at this adult stage, they are only about 2 to 3 millimeters in length, so they’re not easy to spot. Any louse or nymphs will typically be located within a quarter inch of the scalp because they want to be close to their feeding ground. Nits will be found attached near the base of hair follicles until they hatch to become nymphs. Nits might be mistaken for dandruff, but you’ll find it very hard to remove them. Both nymphs and lice have six legs that they use to latch onto hair shafts and to crawl from one child’s head to another. You’ll want to have a light and magnifying glass close at hand when searching for them. Luckily, lice can’t fly or jump, so it takes physical contact either directly between kids or with a hat, helmet or other headgear that was worn by an infested person. Simply tell your children to minimize any head-to-head contact with any other kids since lice don’t discriminate, and you can’t know who may have them. Also, make sure your children involved in sports have their own uniform, hats or helmets that they may need, so they don’t need to borrow from others. If you believe your child has lice or have been informed that they do by a school nurse, don’t waste time trying unproved products or methods that will waste time and money. You want to handle this problem quickly before your children end up spreading them to another parent’s kids. This means finding a head lice removal company that offers a professional lice treatment service, so you can be sure the problem is handled. Our lice technicians at Lice Lifters Palm Beach Gardens will perform a head check to verify if lice are indeed the problem. Our safe, all-natural and extremely effective lice treatment process then eliminates this problem for your loved ones, and we back this statement up with our 30-day guarantee. Please contact our head lice removal company in Palm Beach Gardens today to schedule an appointment if you believe your kids are infested, and we’ll get them lice free in a single visit. Are my animals infested with head lice? Can Lice Survive the Florida Freeze?